Expired MLS Listings House Didn't Sell. How to Sell a Home that Didn't Sell? Expired MLS® Listings House Didn’t Sell. How to Sell a Home that Didn’t Sell? Expired MLS® Listings House Didn’t Sell. How to Sell a Home that Didn’t Sell? Get FREE Instant Access to Why Many Properties Listed for Sale Don’t Sell and What to Do About It? Expired MLS® Listings House Didn’t Sell. If your home has just come off the market and hasn’t sold, don’t be discouraged. The reason your home did not sell may have nothing to do with your home or the market. In reality, your home may have been one of the more desirable properties for sale. Last year almost one-third of the homes listed for sale never sold at all, and many sellers found that there was a tremendous amount a homeowner needed to be educated on to sell their home for top dollar in the shortest time period. 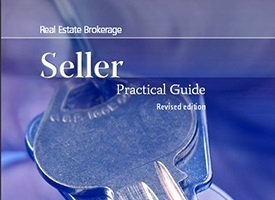 If you are interested to have free access to the special report called “How to Sell a House that Didn’t Sell”, please fill and submit the request form on this page. In the “Notes” box include a code “expired”. f you are interested to have access to all Brochures, Real Estate Guides and VIP-Insider Reports. In the “Notes” box include a code “full access”. If you have any specific requests, type them in the “Notes” box as well. The provided information is absolutely no cost and obligation free. This is not a subscription to a mailing list or a newsletter. It will grant you access to sources and MLS® information shared with other users. Enjoy this obligation free “Expired MLS Listings House Didn’t Sell” VIP Real Estate Insiders guide. Thank you in advance for emailing this page to friends and colleagues and sharing it on your favorite social media networks. Please use the “share” buttons below.